“It must be said; Marcie McMaster is a mental health professional who not only consistently provides the highest degree of quality care and consultation services but does so with honesty, openmindedness and integrity”. “Diogi Health & Wellness Center continues to assist our existing program since our conception in 2014. We received our Joint Commission accreditation with Diogi Health & Wellness Center. They once again spearheaded a considerable effort for our newest levels of care and expanded location. All the fine details that it takes to obtain Joint Commission accreditation is no easy feat, yet Marcie and her stellar team at Diogi Health & Wellness Center did this in near record time with a streamlined and stress free system! I would highly recommend her and Diogi Health & Wellness Center to anyone in the behavioral healthcare setting, Marcie is very gifted in her craft”. “DIOGI HEALTH & WELLNESS CENTER along with Marcie McMaster made the licensing process for DCF easy to understand. She had clear cut instructions, made my job easier, followed up, and obtained our probationary license. I highly recommend anyone looking to get licensed to meet with Marcie and her team at DIOGI HEALTH & WELLNESS CENTER.” October 5,2018. –Kevin Choi, Owner & CEO for Harm Reduction Center. 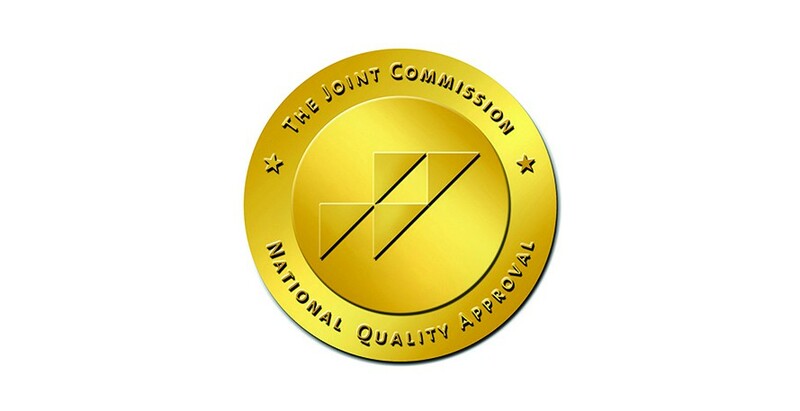 “Paragon received its Joint Commission accreditation effective as of today, AUGUST 17, 2018. We were able to achieve this milestone in what must be near-record time (just 2 months after we opened!). A special thanks to Marcie McMaster & DIOGI HEALTH & WELLNESS CENTER for spearheading these efforts, keeping the train on the tracks and providing us with the necessary tools and knowledge to allow us to take these next steps. Marcie is our licensing consultant and there is nobody better at their job in this industry than Marcie”.-Eric Scher, CEO, 561-717-0486. August 2018. SAFE FUTURE LLC. Practice location: 1400 NE 125TH ST NORTH MIAMI FL 33161-6034. “We hired Marcie as a consultant to help us go through our Joint Commission accreditation process in 2016 and she has worked far beyond what we expected from her. We were particularly impressed by Marcie’s ability to handle some of our reluctance to change due to the enormous amount of administrative work required by this accreditation. Marcie was able to lead multiple departments of our organization to meet our common goal. On a personal note, while Marcie is a hard worker, I can still hear her laughter as she completed her tasks. Not only is Marcie professional, she has a cheerful personality necessary to make this process as smooth as possible. “Diogi Health and Wellness Center provided excellent guidance and support through our initial DCF audit and full licensure. Marcie is a highly experienced clinician who understand the nuances of clinical care. We utilized her expertise to assist with policy and procedures, chart practices, and personnel matters in order to assure an optimal level of compliance. Additionally, as a small company, she was able to listen to our needs and afford our treatment center with an individualized attention with customized advice. We utilized the services of Diogi Health and Wellness in order to pursue Joint Commission accreditation for our treatment facility. I found them to be far more responsive and individualized in their efforts for us than companies I have utilized for accreditation services while supervising at prior treatment facilities.Their consultation and recommendations were geared towards our needs and not cookie cutter. Diogi provided practical guidance that we were able to utilize to successfully pass our initial survey, while putting lasting changes into place that improved our overall care. I have utilized their services for multiple licensures and accreditation matters and have found them to be consistent in their delivery of all contracted efforts. I highly recommend Diogi for those facilities seeking support and consultation in the accreditation process”. “I have had the pleasure of knowing and working with Marcie since 2009. Since that time, my experience is that Marcie is very professional, ethical, and knowledgeable. This is nicely combined with the quality of being honest and forthcoming which makes her a very trustworthy clinician and colleague. Marcie knows the ins and outs of treatment both from a clinical and administrative perspective which makes her an asset to anyone working with her. Marcie is well known for for her skill and compassion for her therapy dogs and the individuals she helps using them. First Taz and now Diogi. I personally miss Taz”. “Diogi Health & Wellness Center is highly recommended for any facility looking for Joint commission accreditation. The words that come to mind are highly professional, outstanding communication skills with a 48 hour turnaround on all phone calls/emails, and the BEST in the business. We were successfully accredited within 6 months of hiring Diogi Health & Wellness Center. In addition, we found ourselves between clinical directors and The Diogi Health and Wellness Center jumped into action to assist our facility. Ms. McMaster facilitated our DCF audits, policy and procedure manuals, and training for our Outpatient Detoxification, PHP, IOP, & OP program. It was seamless and stress free. I would highly recommend her and her company”. Owner/CEO New Life Addiction Treatment Center and Life Changes Addiction Treatment Center of the Palm Beaches. “Marcie is truly a master at her craft. My business has been elevated in policy and procedures as a direct result of Diogi Health & Wellness Consulting. We had no problems or worries being audited and licensed by DCF two years consecutively. If there is a lack of information or charting, Diogi is sure to sniff it out. I highly recommend Diogi Health & Wellness Center consulting to anyone looking to do it right”. “Marcie helped me to understand my role as a clinician, a lot of time when you speak to someone in a supervisory role you get timid and are afraid of saying something stupid or asking a stupid question but Marcie never let me feel that way. I was free to express my struggles and opinions judgment free and that is why I enjoyed supervision. It was kind of like my own therapy session not just about how I could help my client but myself as a clinician moving forward. I can honestly say I’m a better clinician after having Marcie as my supervisor not just because of the knowledge I have gained but her real experience that helped me see I do not have to be perfect, I just have to do the best that I can do”. dedication she has given to the field of social work. She is compassionate, understanding, and was available any time I needed her. I highly recommend Ms. McMaster for supervision. She guided and advised me through professional and personal difficulties, resulting in my acceleration of knowledge and confidence, at work and within myself. She was great!